In June of 2013, Governor John R. Kasich signed Executive Order 2013-05K to support Ohio’s veterans by ensuring they are receiving the appropriate credit and credentialing for their military training and experience. Click here to find out more about the Ohio Values Veterans initiative. Further your education and career in Ohio. In an effort to help veterans, service members and their families achieve college degrees, the public colleges and universities of Ohio have taken proactive steps to better serve those who have served our country. The public colleges and universities of Ohio are committed to the acceptance and awarding of college credit for military training, experience, and coursework. The Chancellor of the Ohio Department of Higher Education signed a directive providing a baseline set of standards and procedures for the application of military credit. Having one set of standards and procedures serves to provide uniformity and consistency to the process, makes it easier to communicate with and reach a wider audience, and highlights the priority the higher education community places on assisting veterans and active duty service members with their educational and career goals. *A printable 18x24 poster version of the above graphic that can be utilized by any Ohio public institution can be found here. The text in the lower right portion has been removed and institutions can add their logo or admissions information as desired. Upon moving to Ohio, active duty, guard, reserve service members, and their spouse/dependents are eligible for in-state residency for the purposes of tuition, state educational subsidies and financial aid if one of options is met. The service member or veteran served at least one year on active duty and was honorably discharged (or received a medical discharge related to military service). OR The service member or veteran was killed in action, declared missing in action, or served as a prisoner of war. A spouse or dependent is eligible, only while using benefits, if they are the recipient of the Marine Gunnery Sergeant John David Fry scholarship or Chapter 33 transfer of entitlement if the person is enrolled in a state institution of higher education, lives in Ohio as of the first day of a term of enrollment in an institution of higher education, and the veteran’s period of active duty was at least 90 days or the servicemember who transferred such benefits is on active duty. Once VA benefits expire, the spouse or dependent must apply under the GI Promise option and if not eligible will revert to out of state tuition rates. The Veterans Upward Bound program, funded by the U.S. Department of Education, is designed to motivate and assist veterans in the development of academic and other requisite skills necessary for acceptance and success in a program of postsecondary education. The program provides assessment and enhancement of basic skills through counseling, mentoring, tutoring and academic instruction in the core subject areas. The primary goal of the program is to increase the rate at which participants enroll in and complete postsecondary education programs. All 36 eligible Ohio public colleges and universities formerly participated in the Servicemembers Opportunity Colleges (SOC) Consortium. This demonstrates their commitment to awarding college credit for education and training received during military service. The SOC Consortium was dissolved when the Department of Defense Memorandum of Understanding was created. The old guidelines for the SOC have been incorporated into the DoD MOU. 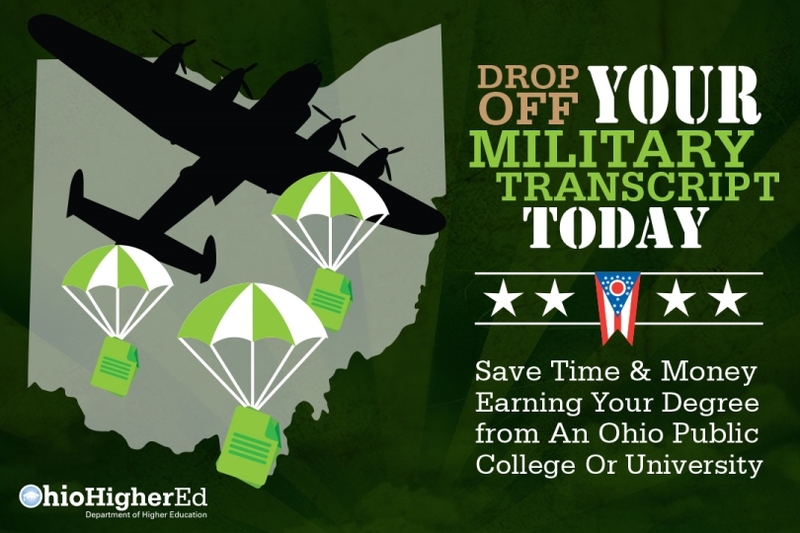 The Ohio Department of Higher Education promotes scholarship opportunities such as the Ohio War Orphans Scholarship, Ohio Safety Officers Memorial Fund and Ohio National Guard Scholarship. 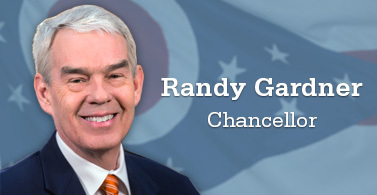 It also helps connect students with financial aid resources through the Federal GI Bill or state-based initiatives like the Ohio College Opportunity Grant. Veterans Affairs offices supplement the recruitment and retention of veterans to the campuses across the state. 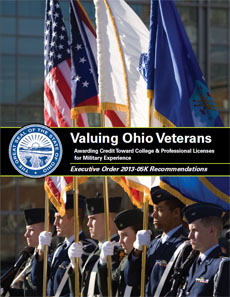 Click here for a phone list of campus veterans affairs officers in Ohio. If you have any questions about the Ohio GI Promise, in which a veteran, service member or their dependents may qualify for instate tuition, call (614) 466-6000.